The daughter of a reclusive trapper and his Cheyenne wife, Christine has known only simple childhood happiness until her mother unexpectedly dies. She is soon thrown into conflict with her father’s new wife, whose malicious abuse eventually forces her to leave her father’s backwoods cabin forever. Abandoned to a white culture, rejected by all but a few kindred friends, Christine struggles to find and keep honest work in a remote one-saloon town amid the rugged Montana territories. Following her heart and holding fast to truths she discovers of her mother’s people, she navigates a world of prejudice and poverty. Bravely forging forward with a confident independence, she learns to adapt on the winding path of her own private wilderness. Will Christine ultimately find the courage to open her heart and reach out to embrace the one man she truly could always depend upon? Cheyenne is a powerful testament to the infinite power of hope, love, and the human spirit in the face of devastating injustices. A number of years ago, the inspiration beginnings for this novel were sparked repeatedly every time I drove past the ‘Cheyenne’ (Wyoming) sign on the freeway. The name called to me. More and more over time, I knew I had to write something with it. Being a direct descendent of Pocahontas and other Native Americans, I had long wanted to write a story honoring that proud heritage. The little story pot was put on a back burner, and began bubbling away. After a fair amount of research, and the ideas fully simmered, I finally wrote this story. I enjoyed getting to know this main character as well as her loved ones. 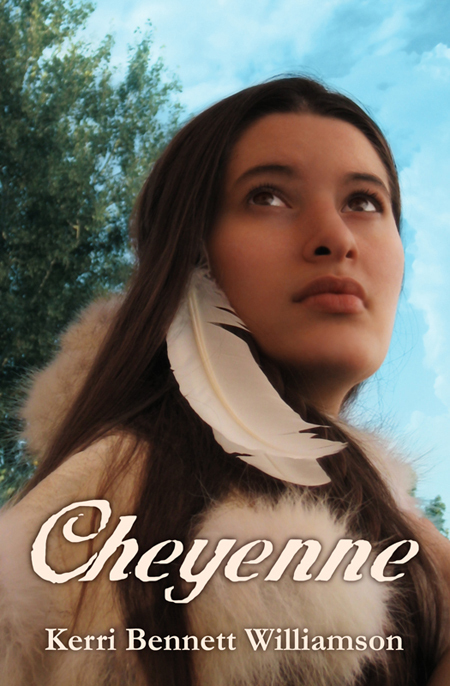 I hope others will like ‘Cheyenne’, which I humbly offer to the world.